Artist paintings consists of lot of squares which are painted with many of images like flowers, traditional motifs, Intricate symmetrical as well as asymmetrical patterns and some of deity’s images. 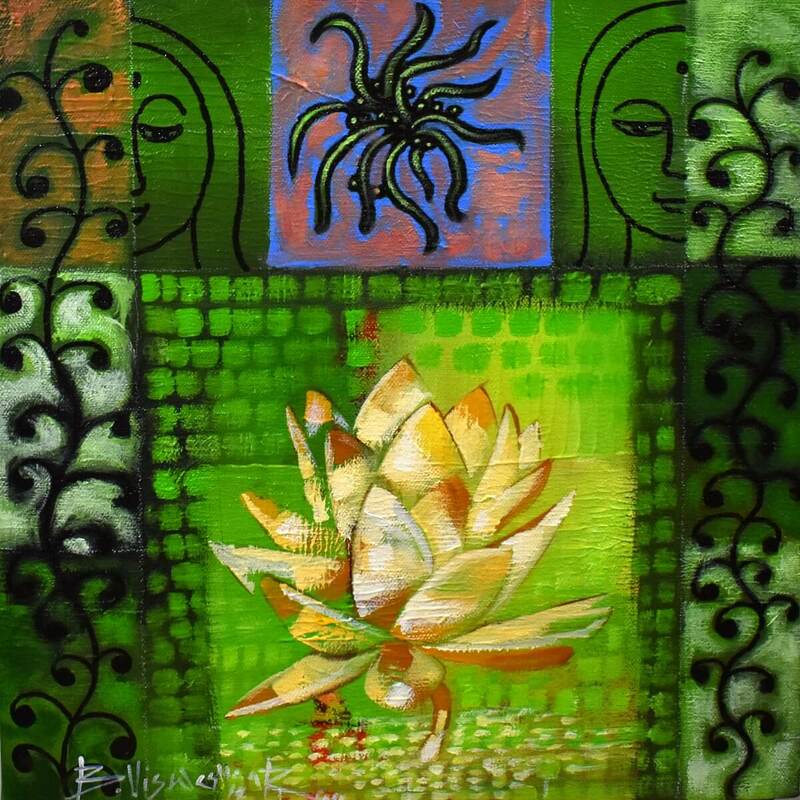 Tiny square spaces are what he prefers for his paintings since it is like an act of doodling on a sketchpad. These are executed in three dimensional texture and resemble the “psychedelic art”. Visual Impact of composition and colours reflects the awakening of inner spiritual thought process and also indicates the phantasms of mind. It clearly narrates his creative and dexterous journey. 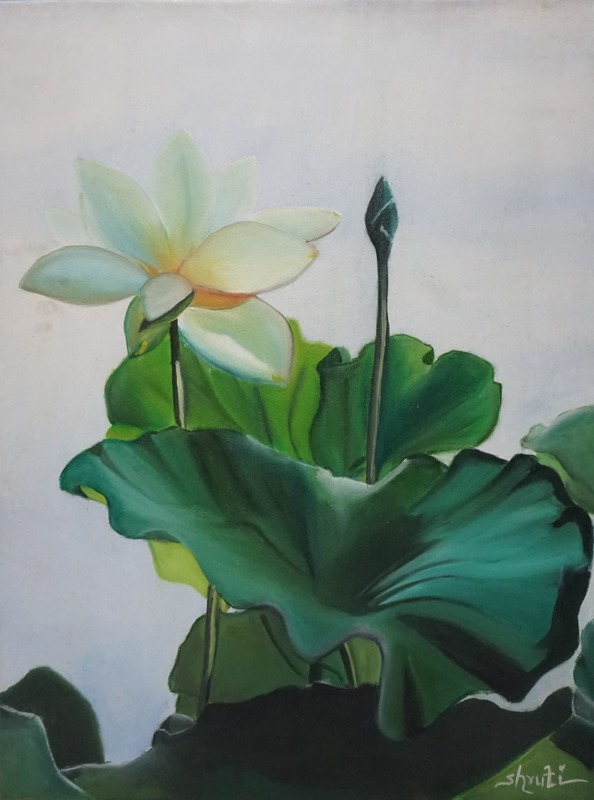 The painting depicts how the white lotus resonates tranqulity.